BEHIND THE LINES: CONTEMPORARY SYRIAN ART is an itinerary exhibition across Canada. The exhibition hosts 20 artists with 100 works across multiple formats including video, photography, painting and sculptures. In the midst of a conflict that has gripped the entire world, a connection created through art is bringing Penticton and Syria closer together. Humam Alsalim, a Syrian architect, founding member of SYRIA-ART and co-founder of the Cyrrus Gallery, an online art gallery for young, contemporary Syrian artists is co-curating the latest exhibition at the Penticton Art Gallery. Behind The Lines – Contemporary Art from Syria is a traveling exhibition. The exhibition hosts 20 artists with 100 works across multiple formats including video, photography, painting and sculptures. 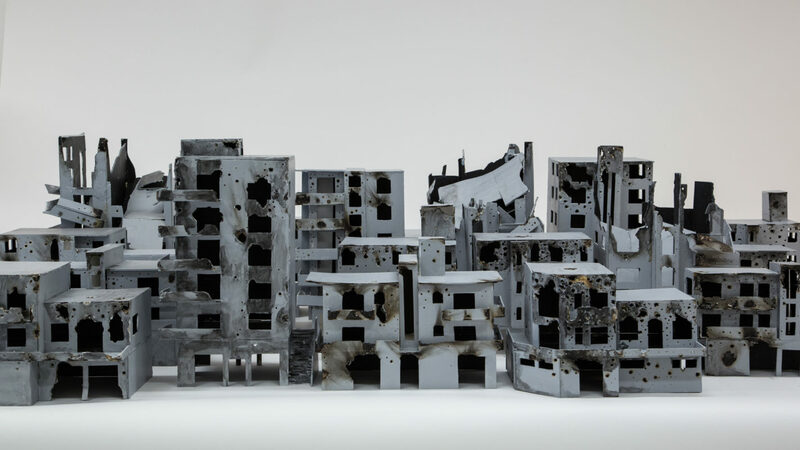 The art is an inside look into the minds of those affected by the devastating war, including Alsalim.